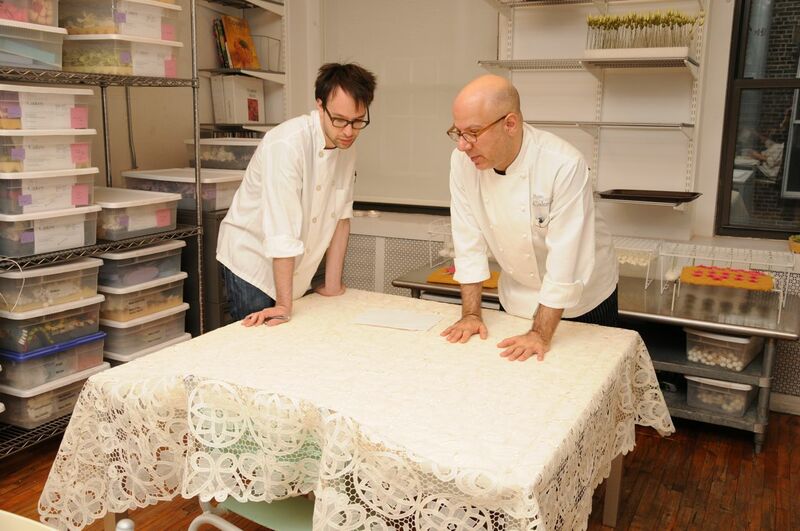 Ron and Jason looking over a tablecloth that is being used as the inspiration for confectionary applique design for a cake. 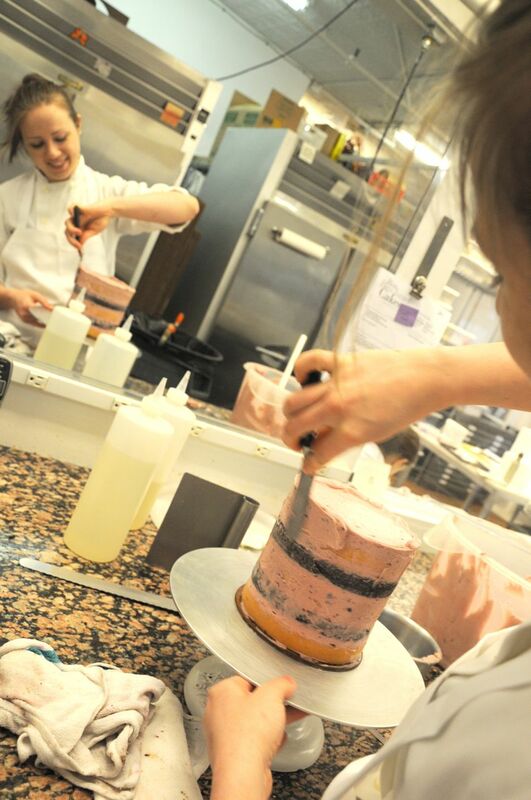 Robin filling cakes for this weekend. 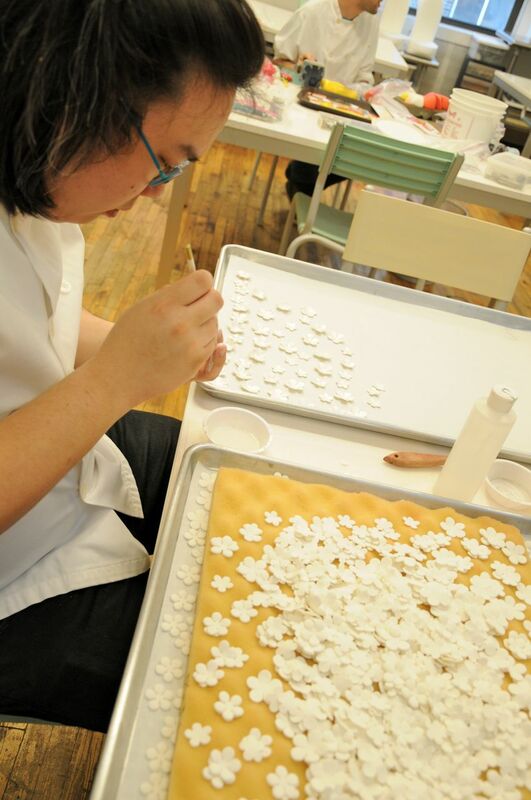 One of our interns, Ming, hand painting shimmer on hundres of little sugar blossoms for a cake this weekend. 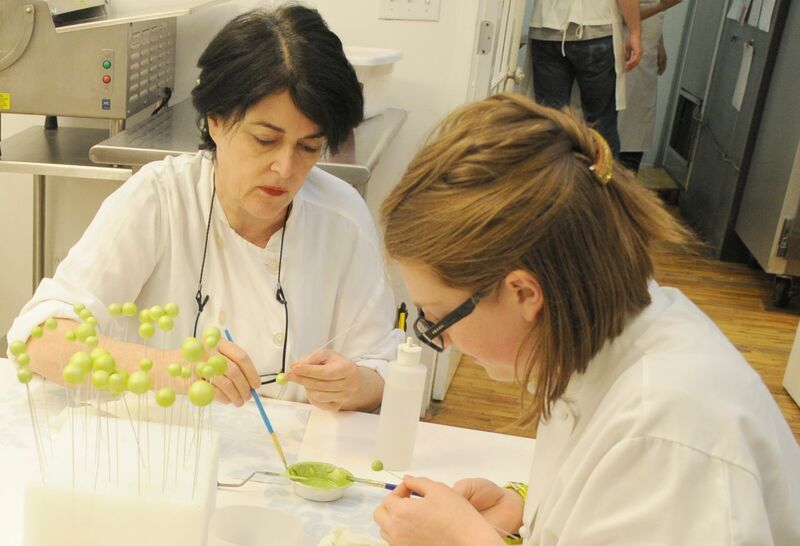 Interns Charlotte & Emma working on lime green "champagne" bubbles for a birthtday cake for this weekend. 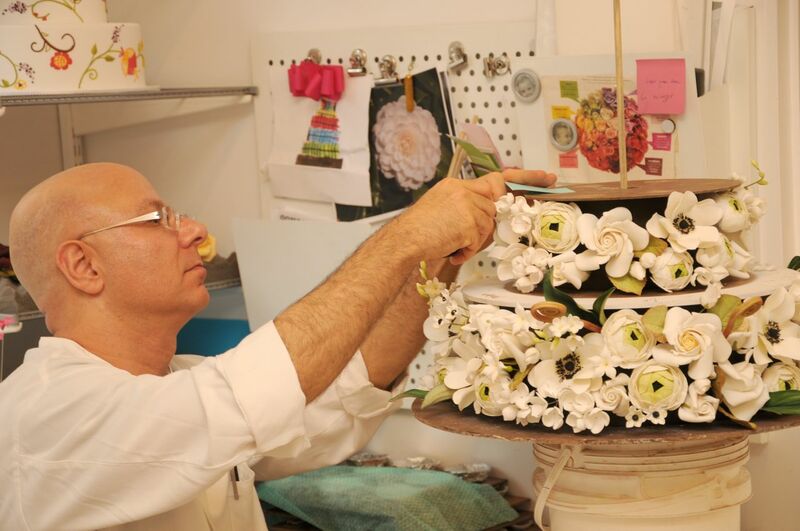 Ron completing separators for a floating tier cake. Can’t wait to see the finished cakes! Loved seeing the all that talent together! It made my day! Hi Rebecca- we absolutely loved the finished product of our cake from our May 21st wedding. Thanks to the team for making such a breathtaking and delicious cake! Can’t wait for our 1st wedding anniversary to eat our top tier!